Over the last week, ResearchDrones.com and ConservationDrones.org conducted a series of tests of low cost thermal imaging cameras. 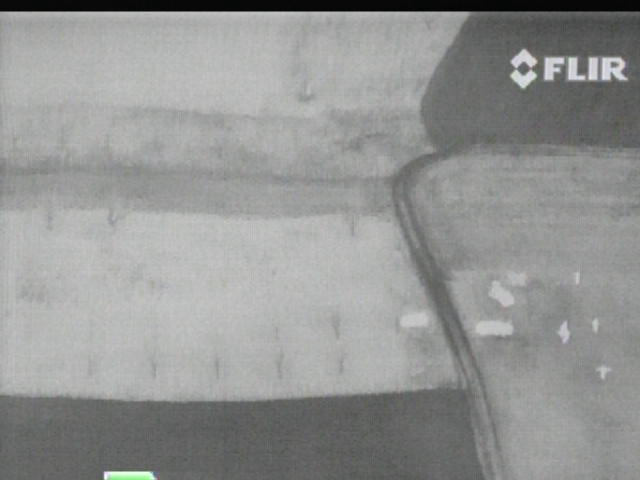 FLIR image taken by conservation drone from ~100 m above ground. FLIR camera tilted ~40 degrees downwards. NEC image taken by conservation drone from ~100 m above ground. NEC camera was downward facing. The FLIR is the clear winner in terms of picture resolution and thermal sensitivity. 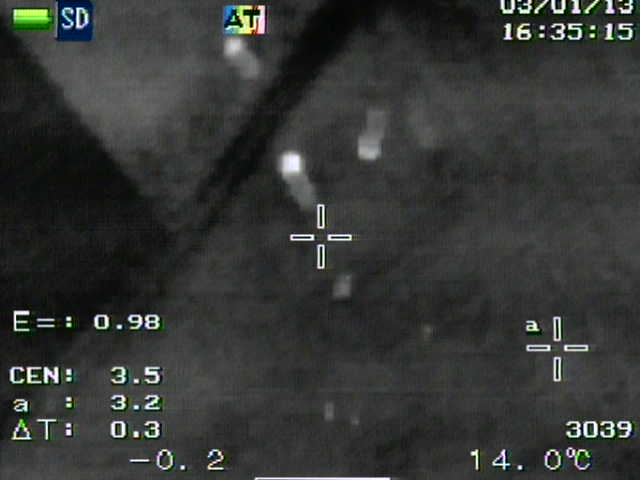 But the FLIR HS-324 is also much heavier and costly (~600 g, ~US$ 7,000) than the NEC (~300 g, US$ 4,000). Based on these tests, we believe the ideal solution might be the more compact FLIR MS-324 (320 x 240 res) (link), which has the same resolution as the FLIR HS-324, but weighs much less (340 g) and is also more affordable (~US$ 3,000). This is just the coolest thing ever! Thank you all! Thanks for posting this – really great to see a quick, considered review of some awesome technology! Great post, were the cameras connected to live video? If so, how did you do that? Would love to see more of the details on how the cameras were mounted. Thanks! Hi Jake, the two cameras we tested were indeed connected to a video transmitter onboard and beamed to a groundstation where the live footage was recorded with a simple pocket DVR. We wouldn’t recommended the way we mounted the cameras, since we were really just testing the quality of the footage. (Cameras were just taped on top of the airframe for the FLIR, and inside the fuselage pointing downwards through a hole for the NEC one. Ah, ok thanks for the reply. I’m interested in using a UAV to map sea turtle nesting (and potential poachers) but live video is a must so we can dispatch patrollers to suspect areas. Thanks for starting up this site, great to see what others are doing in the conservation UAV world. Nice work! Next time you do some thermal imaging tests, it would be very interesting to see how well you can detect humans through different densities of foliage cover. I need that setup. Not just a want, but a NEED. That’d be perfect for observing the sasquatch group on the river behind our home, not too invasive. If anything needs conservation, it’s those big ol apes. 🙂 thank you for the demo.